﻿Amos Oz never tires of finding ways to blame Israel for the absence of Arab-Israeli peace, no matter how clearly the voices on the other side, in Palestinian and broader Arab media, mosques, and schools, declare that their idea of peace is the annihilation of Israel and the destruction of its people. Nor does he tire of grossly rewriting history to serve his blame-Israel narrative. the failure of the Oslo Accords." or of the Palestinians' rejections? Or perhaps he knew at one time but has since forgotten that the Palestinians responded to Israel's offers by launching a terror war. Even on the refugee issue, Israel apparently made some concessions during the talks in 2000, offering to take in tens of thousands of 1948 refugees and their descendants. But Oz is so desperate to blame Israel, to define some step that, if only Israel could bring itself to take, would resolve the conflict, that he ignores all this. His focus in this latest piece is the refugee issue, and he agrees that there can be no "right of return," that Palestinian demands for such a "right" are a formula for transforming Israel into another Arab state. 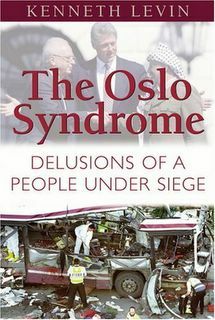 But, he argues, Israel has been too averse to discussing the problem, and if it would only bring itself to acknowledge some fault for the plight of the refugees, some partial responsibility, and preparedness to help resolve the problem in ways short of "return," then its doing so, Oz avers, "is likely to send an emotional shockwave through the Palestinian side. It will serve as an emotional breakthrough of sorts that will significantly facilitate the continuation of talks." What talks? And to what end? His argument is at once absurd and dishonest. It is absurd, of course, because the Palestinians do not want resolution of the issue in any manner other than "return" and have made that clear in innumerable ways, including in the incessant message proffered by all their instruments of indoctrination. Oz could send copies of those acknowledgments to every Palestinian household, and could no doubt even arrange to read the relevant passages aloud on Israel state television and have their contents endorsed by leading Israeli officials. But his doing so would not, unfortunately, serve as any "breakthrough." Indeed, no step by Israel, short of national suicide, can provide a "breakthrough" that would open the way to ending the conflict. But Amos Oz refuses to acknowledge that essential truth, and prefers instead to conjure up fantastical indictments of Israel and delusional assertions that, but for this or that Israeli fault, all would be well. It is a monomania, an idee fixe, that for Oz appears beyond cure.